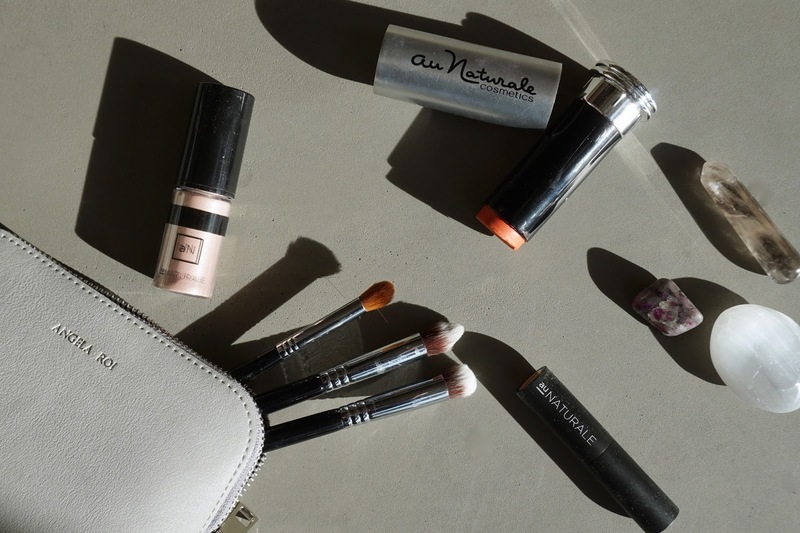 One of my favorite vegan and cruelty free brands, Au Naturale turns 6 this month! To celebrate, they're offering a whopping 25% off their site this weekend so i wanted to be sure to let you guys know my top picks in case you decided to make the most of it. For those who aren't familiar, Au Naturale are a vegan, cruelty free, organic, paraben free and ethical makeup line. Their products are beautifully nourishing and gentle so i think they'd suit anyone from the very sensitive to more mature skin types. Signature Brush Collection \\ Their brushes are super soft & luxurious! Cream 2 Powder Foundation Stick \\ Light to medium coverage, highly blendable & nourishing on the skin. Completely Covered Cream Concealer Stick \\ Medium coverage in a nourishing base. Perfect for around the eyes to add moisture. Anywhere Cream Blush \\ A great way to embrace cream blushes. Great colors, highly blendable & look so gorgeous and juicy on the cheeks. Creme de la Creme Eye Shadow Stick \\ Gorgeous colors to use alone or layer under powders for a nourishing color base. Got any Au Naturale favorites of your own? Feel free to leave your recommendations in the comments.